After the long hiatus from symphony concerts it was exhilarating to be greeted with a delicious mix of atmospheric mystery and primordial reptilian percussion. Soprano Lehobye held the space excellently – powerful projection of her lower register and timely use of her full capacity in the climaxes. Ndodana-Breen’s first poem has an air Puccini, Hindemith, and Southern African traditional instruments and scales. His second poem demonstrates a glorious extended romantic lyricism and beautiful ensemble work, particularly soprano and cello. The third poem is a busy, richly scored tapestry with impressively subtle ever-present percussion. Three Orchestral Songs on Poems by Ingrid Jonker enjoyed a resounding and successful première performance, and I look forward to hearing it again soon. Concerti are complicated beasts – for every impressively dexterous pianist who’s fingers move inaudibly, sound evaporating into the air of the City Hall, there is one who hacks and clangs rough-shod, headless and headstrong. 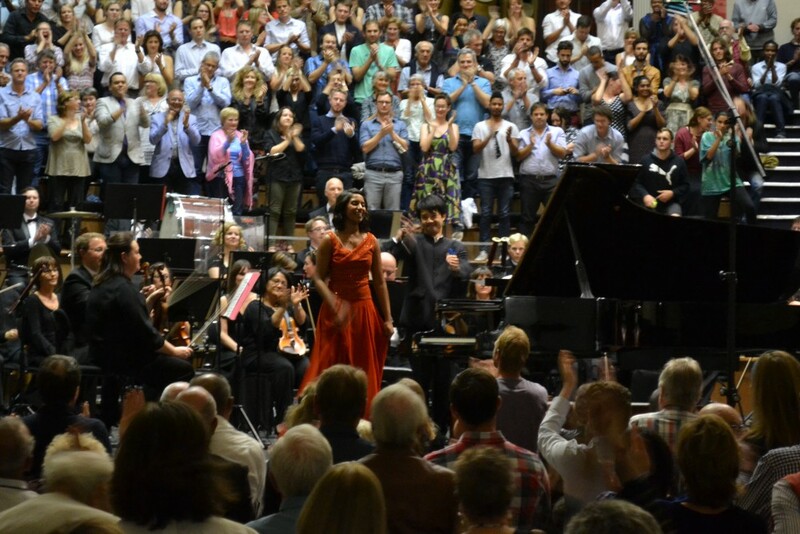 With such a concerto as this, it was to my significant relief to hear in the opening bars, the evident power in Mahidhara’s left pinky finger, coupled with an ensuing sensitivity that balanced her sound exquisitely. Her sensitivity was continuous in the ensemble passages, maintaining eye contact with the players and being very much part of them as opposed to in front of them. Her occasional pounce at the end of a phrase to lift it from the swelling tide of the orchestra; her tiger-like staccato, fiery, impassioned, regal; her cool sensual lyricism; and her narrative dynamic control over sumptuous melodies and gorgeous rippling accompaniments, identify her as an intensely individualistic performer with amazing technique and strength. I found her interpretation refreshingly Rachmaninovian – in his own performances he doesn’t “put a lot on it”. He avoids melodrama, it’s actually quite understated, and this brings a wonderful clarity to his melody structures and harmonic progressions. I had the distinct impression that Mahidhara’s intention was to play this work as it had been conceived. Finding it necessary to congratulate conductor Perry So after the concert for its overall success, and particularly on the balance he achieved with Prokofiev’s unexpected coupling of instruments in the symphony, we agreed that the voicing is somewhat odd! Prokofiev is known for his unusual orchestration, favouring percussion, and the darker rattling tones of the brass section (thanks Ryan Kierman and his bass trombone). I liked that So’s interpretation acknowledged the novelty, for example lifting the tuba (Shaun Williams) out of the harmony and spotlighting the part. Brass and horns played exceptionally, in stunning rich tones. Slavomir Mrazik and Ryan van der Rheede on trombones were absolutely jaw-dropping with a section of widely spaced arpeggios – must be a great piece for auditions. The orchestra was synchronously dexterous and rhythmically tight, in rendering Prokofiev’s percussive staccato style. As conductor So unfolded the climax, flower-like, he revealed ever brighter and more wonderful layers, building the intensity – resplendent trumpet playing by Paul Chandler, Pierre Schuster, and David Thompson. If you missed this concert, book now for Thurs 28! Its going to be another humdinger! 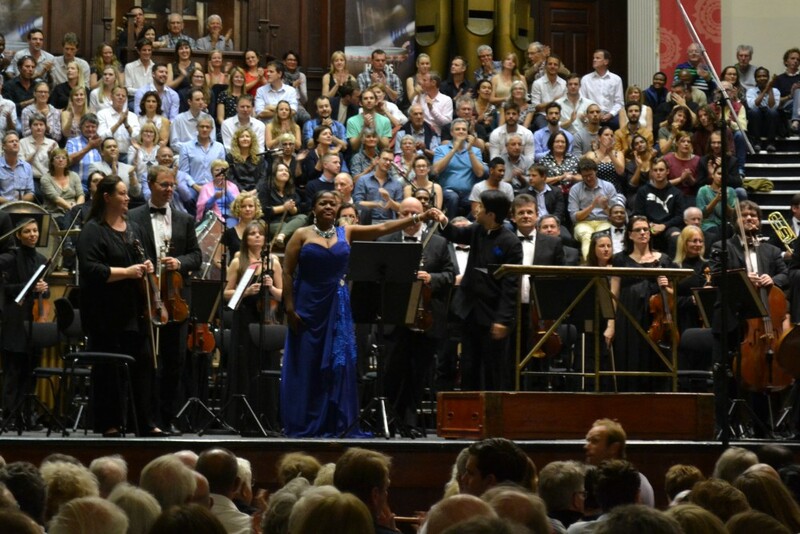 This entry was posted in Classical Music Review, Concert Review and tagged #AndyWilding, #ClassicalReview, #ConcertReview, cape town philharmonic orchestra, CPO, CTPO, David Thompson, Goitsemang Lehobye, Ndodana-Breen, Pallavi Mahidhara, Paul Chandler, Perry So, Pierre Schuster, Ryan Kierman, Ryan van der Rheede, Shaun Williams, Slavomir Mrazik, Three Orchestral Songs on Poems by Ingrid Jonker. Bookmark the permalink.